Zoho.com CEO Says Domain with 40M Users Suspended for Abuse Complaint — Lots of interesting pieces to this story, but essentially the main domain of a popular SaaS company was suspended by its domain registar and resulted in significant downtime for its users. At the very least, if your domain is a mission critical part of a multi-million dollar business, you might want to build a closer relationship with a more specialized registrar so you can get immediate support. Running a Database on EC2? Your Clock Could Be Slowing You Down — A curious tale of a company discovering the EC2 instances running its Postgres cluster were particularly slow at getting the time and this had a performance hit on its analytics workload. 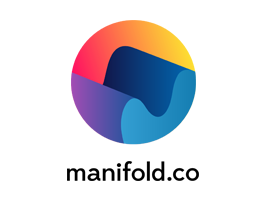 Manifold Connects Your App to Dozens of Cloud Services 🔌⚡ — Our suite of cloud native integrations deliver Manifold-managed resources and secrets exactly where you need them, on the cloud of your choice. Introduction to HAProxy Stick Tables — Did you know the HAProxy TCP/HTTP load balancer includes an in-memory storage mechanism you can use to store and track information about users and their connections? AWS Now Supports YubiKey Security Keys — You can now use a YubiKey (a Universal 2nd Factor security device) as the key for your IAM users. Cloudflare's 'Bandwidth Alliance': Sharing The Benefits of Interconnected Networks — A group of eleven (so far) Web infrastructure providers (including DigitalOcean, Linode, Google, and Microsoft) have allied with Cloudflare to reduce or eradicate interconnecting bandwidth fees. Try Vettery — Create a profile to connect with inspiring companies seeking WebOps devs. Hands on with Linkerd 2.0 — A guide to the recently released Linkerd 2.0, a transparent proxy and service mesh that brings zero-config dashboards and CLI tooling for debugging, telemetry, and diagnostics to Kubernetes. How to Respond When a Deployment Introduces Instability or Bugs? Why Run Postgres on AWS EC2 Instead of Using RDS or Aurora? How I Serve My Blog Over IPFS (the Interplanetary File System) — IPFS is a globally distributed immutable datastore. ▶ Designing Events-First Microservices — A look at what it means to be event-driven and how to apply an events-first domain-driven design to microservices-based architectures. ▶ A Google Product Management Lead on What CI/CD Really Means — An interview with Michael Winser, the product management lead for Google Cloud Build. NGINX 1.15.4 Released — Supports using the ssl_early_data setting with OpenSSL. Apache Mesos 1.7 Released — Mesos is a distributed systems kernel that makes it possible to program against a datacenter as if it were a single pool of resources. GNU Shepherd 0.5.0 Released — Shepherd is a system service/daemon manager for Linux.